Want to help tell the history of the neighborhood? The folks at Old House Diaries are looking for volunteers to help collect and post historical information on Church Hill houses. 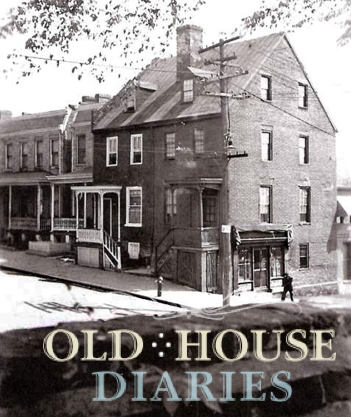 Old House Diaries is a site where you can view photos, stories, and comments from the people who have lived in the houses in an area. While the OHD site is national in scope, they are working with the VA Dept of Historic Resources to highlight local history. Church Hill is part of a pilot study to focus on the historical richness of neighborhoods. An Old House Diaries phone app will be introduced soon, so that people can “learn about the neighborhood as they walk around the Hill or wait in line for a muffin.” The goal is to have a more complete history of the neighborhood up in time for the Holiday House Tour. To get involved, contact Jennie at jennie@oldhouseauthority.com or (804)370-6565. Tourists have explored both Church Hill and Union Hill for years, asking questions about various houses. Old House Diaries is a new tool that will let people read about our neighborhood and it’s houses both at home or on their phones as they walk. Photos or articles can be shared by sending them to specific addresses, possibly saving images that might be lost or discarded over time. Anyone can put their house on OHD and claim it. Some of the most interesting stories are from houses that are not the well known ones, but those with unusual histories, which can be preserved digitally. The posting photos can be old and/or new ones, with stories added about living in the house, what has been done to it, it’s architectural style- anything you might say in a scrapbook about your house. Thanks for putting OHD on Church Hill Peoples News, John. Good thing they aren’t soliciting stories from the Carillon neighborhood. They have a “wonderful, historic neighborhood” over there, too, the fabric of which is under attack and will soon disappear, won’t it, Jennie? This is a fantastic idea! I know some elderly people living at the Bowler Home & @ Church Hill House & Fairmont House whose families have lived here forever. I’m going to encourage them to share what they know w/this project!